Last Saturday something told me to get on 60 meters. TRGHS. So I stepped out to the carport and tuned the doublet to 5.3 Mhz -- and I'm really glad I did. There was a lot of activity on the band, all very friendly. Channels 1 and 2 seem to be especially popular watering holes. Channel 3 might be getting a bit more digital use, but a very interesting group called the "Moose and Squirrel Net" meets there at noon (east coast time) on Saturday on SSB phone. This group is kind of a spill-over from the Old Military Radio Net that meets early on Saturday morning on 3895 kHz AM. 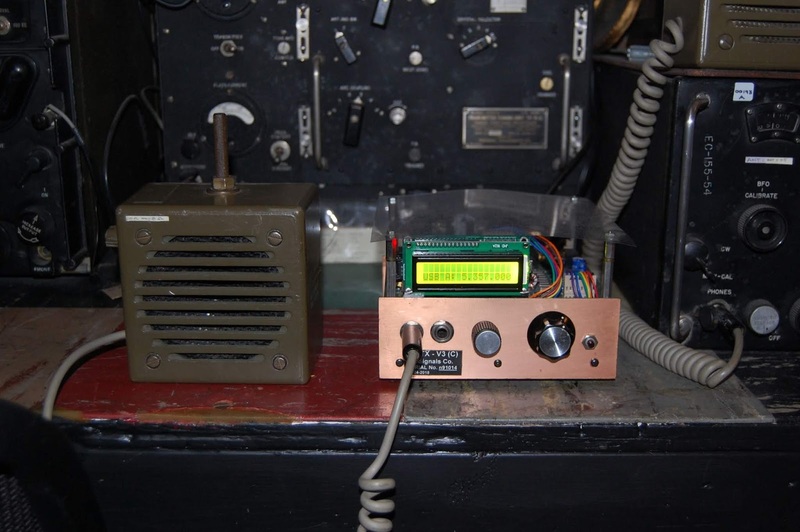 Because many of the old military radios can't tune on half kHz increments, the "Moose and Squirrel" group used channel 3 which is the only U.S. 60 meter channel on a whole integer kHz frequency (5357.0 kHz). Moose and Squirrel takes it name from the old Boris and Natasha Cold War cartoons that many of us watched as kids. Natasha Fatale and Boris Badinov. Cold War era military radios, get it? Good stuff. Many of the guys on the M&S net commented on how nice the uBITX sounded. 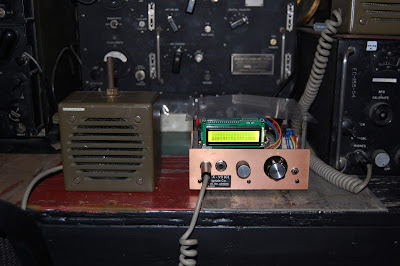 I was running it through my .1kW CCI EB63A amplifier. One of my nicest contacts was with Joe WA2EJT. He told me that he too has a uBITX. He said he bought the rig in part because of he liked the fact that Farhan was giving the work on the toroids to some ladies in Hyderabad who normally do sewing. Joe said he liked the look of the uBITX board so much that he decided to put his board on top of the chassis instead of inside it. That is exactly what I had done with my first BITX 40 module. 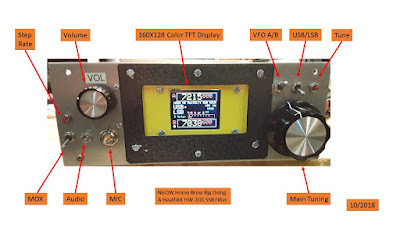 See the pictures of Joe's rig. Three cheers for the uBITX! Boris, Natasha and "Fearless Leader"
Me at the keyof one of Ian's spy sets -- ten years ago? And here is Tony Fishpool's report on their excellent adventure at Friedricshaffen Hamfest 2018. 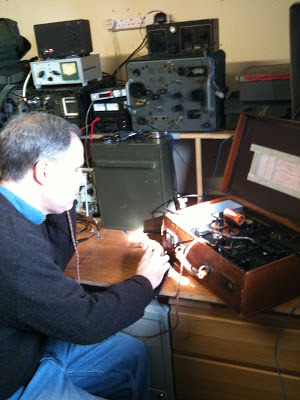 Here are some of the SolderSmoke blog posts on the activities of Ian and the Dover Constructors Club. So much radio wisdom in the words of the Radio Doctor of Montreal. We hope to discuss this and other projects in the next SolderSmoke podcast, hopefully next Saturday. That's the spirit! 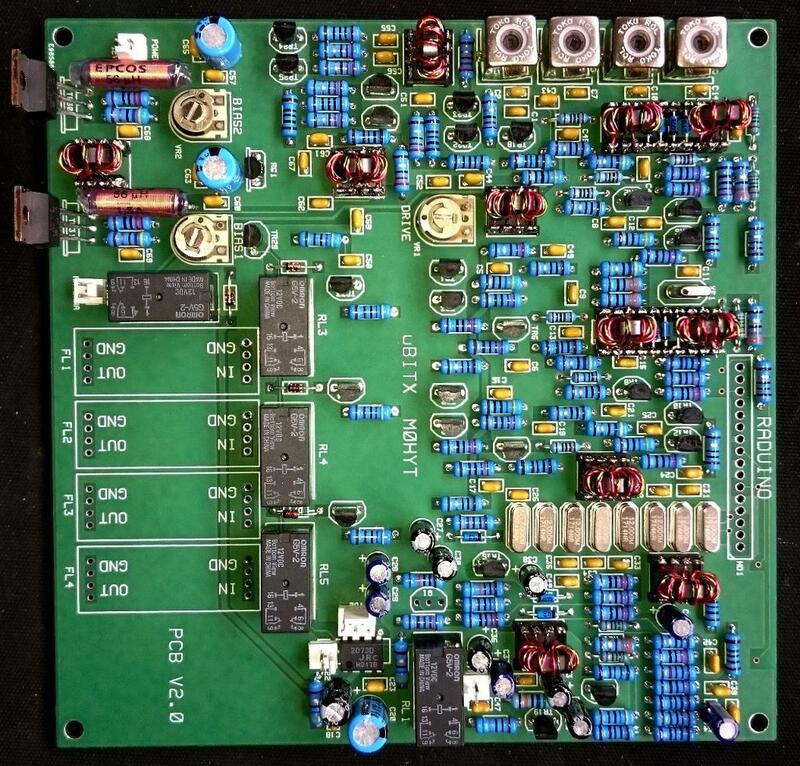 I like how Peter M0HYT took the uBITX schematic and built his own, his way. When you build the rig yourself, if problems arise (spurs, harmonics getting past filters) you are in a much better position to fix the problem. I'm afraid that sometimes those buying an already-assembled board just feel aggrieved if the purchased item is not fully within specs. 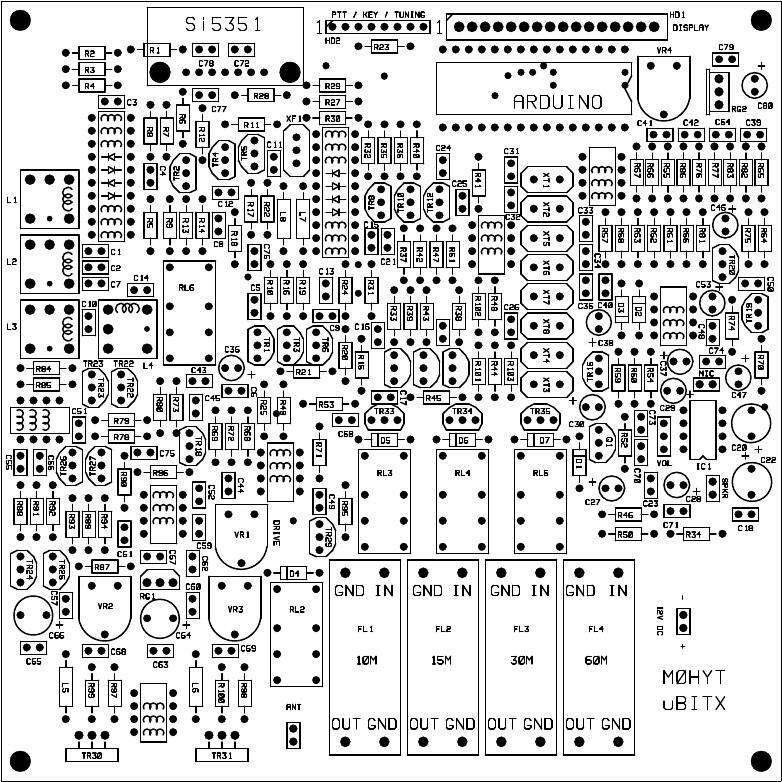 I have just built a uBITX with standard components (no SMD's) from scratch on a PCB I designed - it works well. 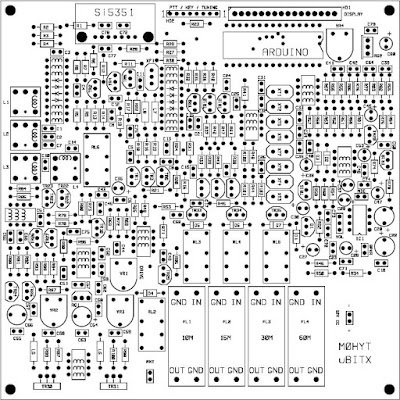 I have now designed another PCB which incorporates the Arduino NANO and the the Si5351 shield and I'm just waiting for the PCB's to arrive and then I will start assembling. I made some changes to the circuit to allow for a dynamic microphone and the use of screened TOKO cols for the 30MHz lowpass filter, I also changed the coupling arrangement to the 45MHz filter. Maybe one day I will play with SMT but for now standard components are still easily available ! This is really amazing and deserves more attention than it has been getting. Very cool video from Space X. I like how they have the time-line along the bottom and the telemetry in the upper right. This is the first time they brought a first stage back to Vandenberg AFB. I hope we get to watch the launch of the Indian Cube-Sat in November. Doug DeMaw taught us that a key contributor to analog oscillator stability is the use of NP0 capacitors. 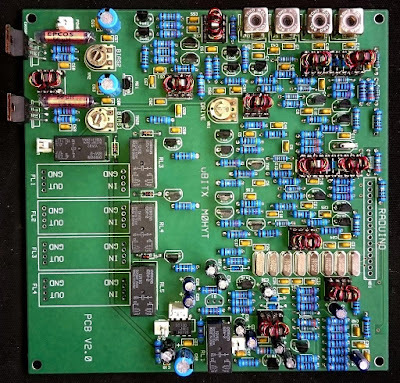 As part of my effort to maintain the ability to produce analog, discrete component, coal-and-cap, chip-free oscillators, I recently went out onto the internet in search of an assortment of NP0 capacitors. Nightfire Electronics had just what I needed. I took their assortment and put it in a parts box for easy access. This video has so much of the kind of stuff that interests us: roadkill antennas. 3D printers. Arduinos. 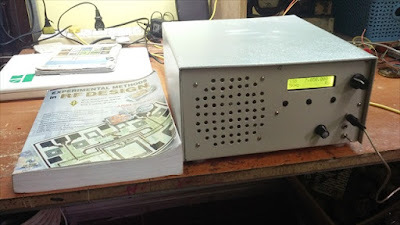 Raspberry Pi, And of course, RADIO ASTRONOMY. I feel myself being pulled back into SPACE. First there was Farhan's new satellite, now this. Last weekend I finished a 3 element quad for 146 MHz. In a fit of nostalgia I used the same copper tube elements that I used to communicate with the MIR space station from the Dominican Republic in 1995. They have good JuJu. And Mojo. TRGHS. More on this later. Tune UP!